C'est la sainte Marguerite. Bonne Fête, Maman ! My mother's name was " Marguerite " and she died 3 months ago. She was a very good mother and I miss her daily and I pray for her and I know she prays for me. Today I want to pay tribute to her goodness, her humility, her steadfastness, her smile and easy personality and her dedication to her family. Today is her name feast day and, Maman, you are in very good company ! THE NAME FEAST DAY: In the Catholic Church, it is customary to celebrate the Saint of the Day by wishing " Bonne Fete " to everyone with the same name as the Saint. I think it's a wonderful tradition because: 1) it reinforces remembering the Saints and the Communion of Saints is a very practical and most useful way of "seeing and understanding" the true extent of God's grace; 2) it is a public admission of the importance of a person's first name; 3) by extending the blessings of the Saint of the Day to everyone with that particular name, it is truly "catholic" in nature, meaning universal, and it is definitively most charitable! 4) it is true that this tradition (especially in Europe, or at least in France, where I am right now) has slowly extended to everyone, whether they are believers or not. But that in itself is not bad at all. It says that everyone can easily recognize the benefits of saying "Happy Feast!" to one person, because of their name, sending good wishes and good thoughts to that particular person. And whether someone saying "Bonne Fête!" has a true and complete understanding of what they are invoking, well first of all, that could change any minute… And second of all, what's the point of criticizing people's intent like that? Let's start with myself: do I have a true and complete understanding of what I am writing right now? who knows ? But I have good intentions! I love many saints, I'm here today thanks to their fervor and courage, to their love of Christ, to their complete dedication to the faith. I've got a dozen favorites saints and they have greatly help me. Thanks be to God! 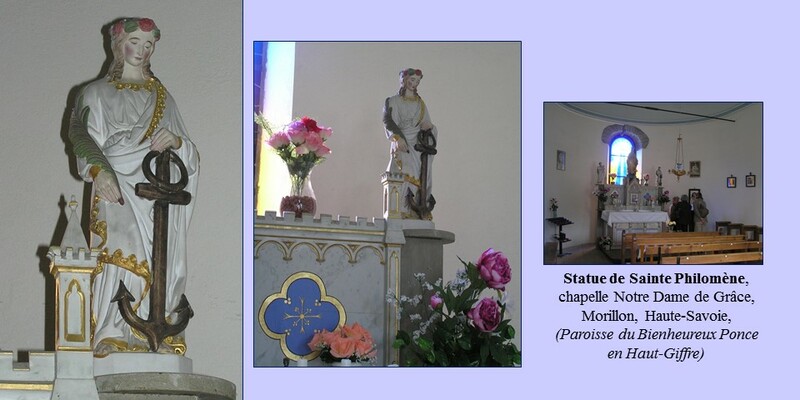 If the legacy of Margaret, Queen of Scotland, is a wonderful mix of love and service, great humility and a constant and deep caring for her own family and for all the people she was responsible of, then there is a link with Marguerite-Marie, her self-effacing and frugal life in her monastery in Paray, but her fervent and continual mission to promote a greater understanding of what Christ did for us, for all of us, teaching us again and again and forever that his mercy has no boundaries. It's all about love and charity! It's all about caring for each other…. Merci de tout coeur, Maman, for teaching me to be kind and to be faithful, to hold to what is simple and good and true ! My mother died a month ago. May her soul rest in peace! It was such a challenging moment. Although she had declined a lot in the past 9 or 10 months, especially in the previous weeks, although I was expecting it, because of her old age and her illness, and although I have complete faith in eternal life and the love of God, his mercy and his grace, I found it to be a difficult time. It was a very mixed emotional time with waves of sorrow on one hand, knowing a page was just turned in my life, but with, on the other hand, a constant showering of kindness and support, from family and friends, from neighbors around the corner or from across the globe, bringing daily a very real and practical balm to my heart. Prayers infused both of these moments, in the personal grief and in the outpouring of kindness, prayers sustained and nourished me. They brought me the exact strength and lucidity and fortitude I needed. For that matter, I also found that the Catholic funeral service, in general and as it is done in this French Alpine village, is the most meaningful and supportive - and formative - way of coping with the passing of a loved one, with bringing us all together for this crucial moment, reminding us of the "bigger than us" dimension of death, affirming the reality of the invisible world, the love of God and the communion of saints. I went through it 2 years ½ ago for my father and then a few weeks ago for my mother. Although every death is unique (just as every birth is) the traditional rites and the manners in which we go through these moments can make a huge difference, for the moment in which they are happening and for the weeks and months to come afterward, forever! Ma mère a eu une belle vie, une bonne et longue vie bien remplie, et elle a été bonne cette vie parce qu'elle a aimé et qu'elle a été aimé. Elle a toujours aimé sa famille et une fois marié avec mon père, ma mère voulait être avec lui, à ses côtés, elle était comblée de partager sa passion de la montagne, de la nature, d'une vie active en plein air. Elle a travaillé très jeune, en usine de textile à Roanne. Elle a secondé mon père à l'UCPA pendant des années, mais elle a aussi travaillé pour la station comme Jardinière de neige a la Rosière. Et elle en était très contente ! Elle a aussi fait le Mont Blanc avec mon père et des amis et elle en était très fière ! Il y a longtemps, Maman avait dit devant moi : " De nos jours, on se plaint facilement, on critique beaucoup (et c'était avant l'internet, avant facebook!) "mais moi, je trouve que tout ce que mes parents ont fait pour moi c'était bien et je les en remercie ". Et bien moi aujourd'hui, je veux dire la même chose, je remercie Dieu de m'avoir donné ces parents, cette famille, cette Maman ! Je crois profondément à la vie éternelle, à l'amour, l'amitié, la patience, le respect, la charité. Et l'amour nous mène à l'essentiel, pour aujourd'hui et pour demain. I have gathered together in one page a few mini-stories written within the last 3 or 4 years about my mother. Some of them have already been posted on facebook or on this site le blog de la bergerie. I am sharing these stories about her and about myself, and about faith, in an effort to help someone else deal with this type of challenges, with elderly parents or with faith! I generally write in a simple manner, always starting with a personal incident but aiming for the whole picture, for a stronger world view. I found out late in life that I LOVE writing, I do it very carefully and lovingly, polishing every word or every sentence like a little jewel. For that matter, I think I am a better person in writing than I am in reality because I get more time to think about it and ponder, to review and crop, where in real life, I do criticize others and say stupid stuff, I get annoyed and angry... But not in writing, there is a deliberate intent to only write the best I can produce, to prune what is not needed. It is the same with my photos, I will only share the good ones, the beautiful ones. The artist in me dreams to share what I myself find beautiful. So I'll put it out there... I think my photos of nature are pretty simple, they often concentrate on a special light, on a surprising angle or an unfamiliar focus. I see amazing beauty in nature, in small and grand things, the kind that takes your breath away and that is what my photos are aiming to render. In many ways, praying does the same thing to me, it is a “mode of being” that gets the best out of me (plus I get invisible help!). I want my contribution, no matter how small it is, to be adding something to the goodness, the beauty and the justice of the world. I am too old to have any desire to add fear and suffering, confusion or destruction, there are enough of them out there, I know this first-hand. So whether it is in writing or in taking pictures, in praying and living, my goal is to love the world and to love my neighbor every step of the way. And it is enough of a goal as far as I am concerned, it is not always easy or obvious and I certainly think I have enough on my plate right now…. :) So here are a few chapters in my life story and they are all about helping out my chère Maman. You can click on each title to get to that particular section or, to read them in chronological order, go to the bottom of this page. Today, Thursday April 17, I brought my mother back to the chalet as was planned. I had told the staff of the Alzheimer ward of her retirement home that I was going to do this. There were a few difficult moments in the day and I’m going to tell you about the first one because there is such a nice twist about it. But first, let me say that everything was going fine this morning, she was ready to go and she was in a good mood. The staff gave me a lighter wheelchair than last week, which was much easier to handle, so I was happy. The first difficult and tricky moment happened when I tried to put her in the car. I have noticed it is harder for me to take her from the wheel chair to the car seat than the other way around but I have managed to do it successfully in the past. But not this morning, when we were alone in the parking lot of the retirement home, I did everything I know regarding this “transfer” but as soon as I had lifted her up and rotated her toward the car seat, she started slipping backward – and complaining “What are you doing? You’re hurting me etc...” So she ended up sitting on the very edge of the car seat; I asked her to sit further back but she could not do it, I tried to lift her but I could not move her, so the situation started to look bleak because she was slowly sliding down. It occurred to me that I needed help but I could not leave her where she was, hanging on one inch of the car seat, so I was going to have to put her back in the wheelchair. It is at that moment that I started praying fervently to Saint Philomena! With a tone of emergency in my heart, I BEGGED her to help me because I did not know what to do – and to think that we were not even out of the parking lot yet! My mother was getting uptight and when she is like this, she gets all stiff and becomes heavier and it is impossible to move her. But suddenly, I saw Christine running toward us. Christine is in charge of the activities in the Alzheimer ward and she knows me and she knows my mother. She is very nice, very ressourceful and full of energy and she yelled at me “Wait, Michele, I’ll help you!” As soon as I saw here, I knew we were going to be fine. The two of us pushed and pulled and within 5 minutes, my mother was sitting in the car correctly, well placed and with the seat belt on. My mother did fight us and she even tried to hit Christine’s face. But we were done, and as soon as it was done, everything turned calm and pleasant within seconds. I thanked Christine profusely and she said someone inside told her that I was having problems and that my mother was about to fall down… I said Au-revoir to her, I started the car, my mother was already smiling, and Christine wished us “Bonne Journée!” as we drove away. 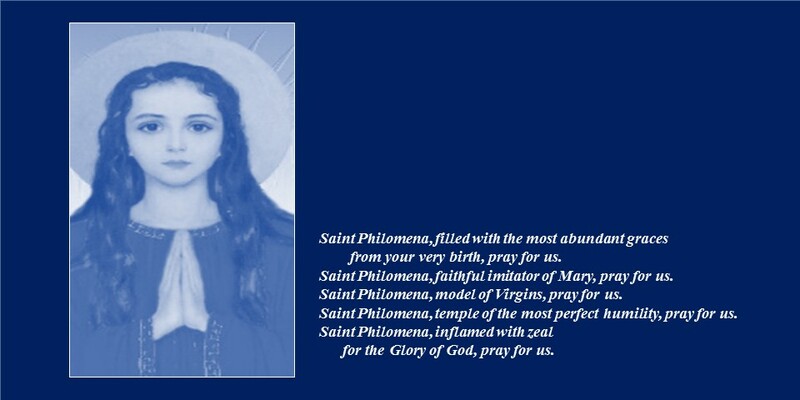 And then I remembered my prayer to Saint Philomena! I certainly thanked HER profusely! She had done it again, she helped me in a tight situation. It brings a smile to my face just to think of Saint Philomena tonight, I’m telling you, Christine came RUNNING to my help this morning, the woman was not walking casually through the parking lot, she ran and she rushed to my side! Bless her heart. 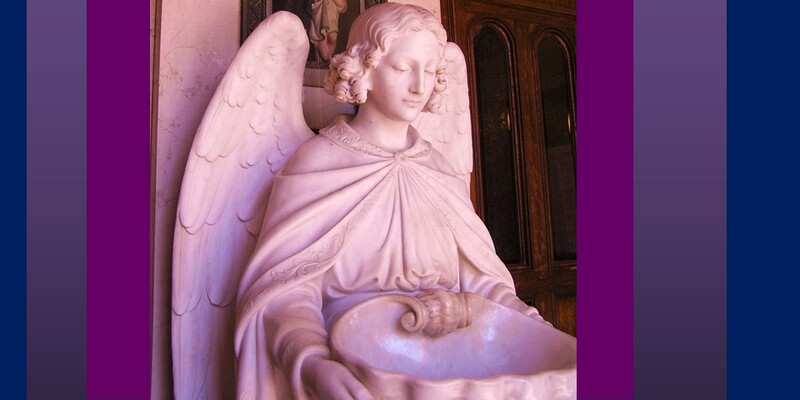 And bless the saints who watch over us and help us navigate this life of ours. Any answered prayer is a mini-miracle. So my mother and I spent the day together in the chalet. We had a nice lunch (homemade vegetables puree and yogurt) and my mother ate well. At one point she said she was happy because “she was in her home with her daughter”, which is a fairly long statement for her to say spontaneously. Well, technically, she did not really say “daughter”, she said she was here “with her wife” (it is true that “fille” and “femme” in French are rather similar). But of course, little Miss Accurate that I am, I corrected her right away, calmly, saying “I’m your daughter, I’m not your wife”, but then she seemed puzzled because by that time she did not remember what she had said, and I’m sure she was not even aware of the words she used. I have been noticing recently that she is doing more and more of this type of “words mix up” but I knew exactly what her intent was and I should have let it go. After lunch my mother took a long nap in her own bed. Then I woke her up, we had a little snack and I even managed to take her outside in her wheelchair, using my beautiful new access ramp. I took her for a small ride toward the farm but she quickly said it was too windy and wanted to come back indoor. However we were able to do this little promenade outside because of this good hearted parishioner I know who worked a whole afternoon building a small wooden ramp for me and I greatly appreciate it. What a wonderful example of charity in action. Tonight’s reading and prayers and hymns were all about love and charity and compassion and stretching ourselves for others. The washing of the feet is such a powerful ritual. At one point, the priest said that “holiness can start with the feet, with our tired and dirty feet” and it made me laugh a bit, I had never thought of it this way but Yes, I get it, our feet can certainly be the first step toward holiness. Especially coupled with the humility needed to wash someone else’s feet. Humility is so precious, it frees up a space in us and around us so we can then become attentive and open to others. One prayer toward the end of the service was “for the ones who could not be here tonight, for the ones who did not want to come tonight, for the ones who do not know about tonight…” It is such an open welcome and all-encompassing prayer! It is inviting the whole world into our praying hearts. And exercising our heart works on the physical, emotional and spiritual levels. It activates in us the capacity to see more, to lift a little bit the veil of this world so we can recognize and appreciate its wonders. From a mini-miracle this morning in the parking lot to this wonderful, paramount and profound night of entering the Triduum, which is the super-miracle of all times, the biggest gift of all, what a day it has been! Reflecting on it, with fears and worries washed away by the grace of the liturgy, I could only feel gratitude and trust. The day was great, the day was blessed, for my mother and for myself and for many more. Thank God for his mercy, for his saints, and for helping us again and again through the hurdles of the day. I have a particular devotion to Saint Philomena, I heard about her years ago and I prayed to her and she helped me right away. And she has done a variety of things: she fixed my printer once when I was ready to pull my hair out in great frustration; another time, when I was stuck outside on the little roof in between my house and the neighbors house, she found a solution; she helped me again and again with my parents. I wondered once why she was so helpful to me, her being a young girl and me being an older women and the answer just popped in my head: it is because she is behaving as my daughter would if she were here! Of course, she would rush in to help me if I needed it. "Her life was an extreme adventure and her cult is quite a story, still unfolding itself today, thanks to many blogs and many sites - see links at bottom of page - dedicated to her (actually it is thanks truly to her intercessions!). Even before her birth, she was already bringing about conversions since her parents, of royal blood, conceived her after coming to the Christian faith. She was young, she was beautiful and she was full of zeal for Christ and this love brought her many trials and many challenges, she was imprisoned, she was tortured, she was persecuted and finally she was martyred. Saint John Vianney, le curè d'Ars, was very devoted to Saint Philomena, and so were many other saints and many popes. She is the patron saint of Youth, she is ready to give us courage when we are faced with adversity, she is ready to revive our faith in the moments of indifference and she is always willing to help us out in all circumstances"! 3 - Musings on life and the weather…. This afternoon, I sat next to her bed while she was resting and I thought « This is a nightmare » but then I changed my line of thoughts because what’s the point about being negative and having harsh statements run circles in your head so I tried to have more positive and creative thoughts such as "No, it’s more like a marathon". A long marathon for sure and a bizarre one where we have no idea where is the finish line. And I also corrected myself in thinking that I’m not even the one doing this marathon, she is! Me, I’m just the “marathoner’s helper”, I keep running along the sides and asking “Do you want another sip of water?” or “Are you ready for your Power bar now?”. My job is to keep encouraging her too and for that matter, I am not alone in doing this, I told her that her grand-daughter sent a message saying how much she loved her and to give her kisses, that her niece called and said she thinks often of her and that she is coming to visit soon, that even the cashier at the supermaket asked me how she was doing! I said that we all love you and think you are wonderful and don’t you worry about anything, just keep running, just Keep Going! If we look at our brain as a bunch of drawers full of data, she had numerous ones that she could not open anymore. On the other hand, some of them would pop open constantly at random, usually triggered by a key word. I must admit that it sometimes bugged me because of the insane repetition. But I had noticed that it was actually a clever one that would always get her a good response and was usable in ANY TYPE OF WEATHER! In the summer, when the baker would say “That’s quite a heat wave we’re having” My mother would say “On gouverne pas le temps!” and the baker would answer “That is so true!” and they would smiled together. In the winter when the neighbor would say “When is it going to stop snowing?” He would get a solemn “We don’t control the weather” and he would replied “You are so right, Marguerite!”. Earlier today, sitting next to her bed and looking out the window at the November fog, I kept chatting because she was not really asleep, she was just lying there resting quietly, buried under the covers, and I think it is good for me to talk for both of us, it does not matter if it is a one way conversation, she needs the stimulation and the company, so I said “What nasty weather we are having today” and a little voice from the bed said “On gouverne pas le temps!” I laughed and I was so delighted to hear her say this! It was the longest phrase of the day and I treasured it. It put me in a good mood right there on the spot. It felt like the marathon was hitting a nice gentle slope and we were actually cruising for a little while. I daydreamed about my parents and “the weather” and how both my father’s encyclopedic knowledge and my mother’s one liner were morphing right here and then on the spot and bringing me peace for a moment. Thank God for the moments of joy and peace, that’s all I have to say! Earlier in the summer, when my daughter was here with her baby and when we would go on car rides together, the three of us, we noticed a peculiar habit of our little darling. Once in a while, when the baby would start crying, and by the way, my grand-child is the most gracious and lovely little baby in the world, she smiles easily, she is curious and attentive, she is easily contented, but it is true that once in while she would cry in the car. We would try the usual stuff: giving her a bottle or a toy or pointing at things outside the window but when we could not stop her, it would easily become a screaming and bawling event BUT and here is the peculiar thing, as soon as her mother and myself would start singing French lullabies, she would stop crying and listen. She would tilt her little head toward us and pay attention for as long as we would be singing unless she fell asleep first. So, of course, we resorted to this every time. We had quite a mini repertoire of French songs but the very favorite one, for all of us, was the lullaby “Aux marches du palais…” (On the steps of the palace, which is an old comptine for children). When I said we would “sing” it together, her mother and myself, I am being generous because there were occasions, depending on traffic or the weather or our energy, where we might have yelled a little bit. Plus although my daughter when through her own Zaz period (1), she really has an average voice. And as far as I am concerned, I have on some occasions thought of myself as Nina Simone (2) but the truth is I am not… But singing this specific song to our darling little baby would ALWAYS please her. Last night, I had my own petit drama here in the chalet. It was one of those nights when my mother is agitated and cannot go to sleep. Between 7:30 pm and 10:30 pm, she got up, came in my room and said “I can’t sleep!” and then would go back to bed, wait 2 or 3 minutes, then get up again and do the very same thing. First I was sitting at my computer and I would tell her calmly to go back to bed, that sleep will come soon enough. But I find those endless repeats to be jarring. I tried everything I could think about, I use the rational approach (“How can you sleep if you keep getting up?”) and the funny angle (“But I heard you snore!”) and even the stern daughter voice (“Go back to bed RIGHT NOW!”). It’s all basically the same to her, she is still restless and I’m getting weary. I went to bed myself and she kept doing it. She would come to my room, opened the door and tried to turn on the light. But that did not work because I taped the switch a long time ago! It would freak me out when she would come in at 3 am and turned on the light and say: “My foot hurts!” or the standard “I can’t sleep !”. Or even a worse one “Where is Papa?”… My father has been dead for a year and a half but she can’t seem to remember it. So the main light switch got taped. Last night, by 10:30 pm, I was feeling a certain fatigue myself and I even said a prayer to the Holy Spirit: “It’s the synapses in her brain! She’s got that one thought stuck in her mind and it goes round and round like a hamster in its cage. Could you PLEASE send a soothing and calming breeze to her poor mind?” (Praying is not unusual to me, it’s definitively a great source of support to me). I heard her coming to my room once again and I could see her silhouette against the light in the hallway. I could not think of anything else to tell her (and she will stand there until I say something) but then I thought of the French lullaby and I told her “I’m going to sing a lullaby for you” and started “Au Marches du Palais” (3)… She laughed and went back to bed and 5 minutes went by. I was holding my breath ! She got up again and came to my door and I only had to sing “Aux marches du…” and she turned around and 10 minutes went by. Then I knew we had reached a respite plateau! By that time it was getting close to 11 pm and I felt a wave of gratitude come over me. Any parent who has taken care of their sick child, any care giver who has stood vigil by a patient will know what I mean. In the midst of suffering, there are moments of rest and when we hit them, we recognize them instantly and we appreciate them. I am well aware of the turmoil of the world, I know that parts of the Middle East are constantly fighting, killing their own children with the help of the West - and the East. I know that parts of Asia and Africa can’t seem to feed their own children. One part of Japan has been pouring tons of radioactive water in the Pacific Ocean DAILY! I am aware of all this and I greatly care but in the middle of my own domestic crisis last night, I could only think of sleep for my mother - and for myself . So when she finally staid in her bed, I knew peace had come to our house, at least for a while. 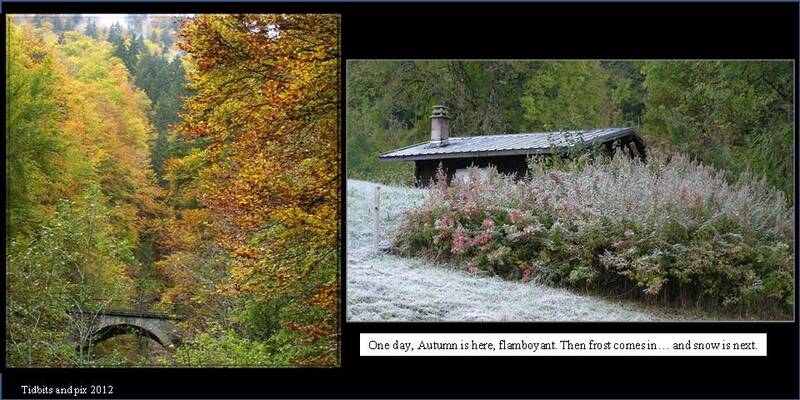 We are having a terrible heat wave in the French Alps! It is way too hot. I did not like the loooong winter we got and all the tons of snow, I complained about the wet month of June where it rained so much so I don't dare write now about this stupid heat less you think I'm a complainer! But it is harder to take care of my mother in such weather, she refuses to drink water, she says she is never thirsty, she keep putting sweaters on ... Ah! la...la... Here I am complaining about my mother now! What is the matter with me? I need some chocolate ice cream, that's what I need. For the record, I just want to say that Alzheimer is a stupid disease, it makes people look like fools and do foolish things and it baffles the ones trying to help them and take care of them. Tired and confused, that's me today. 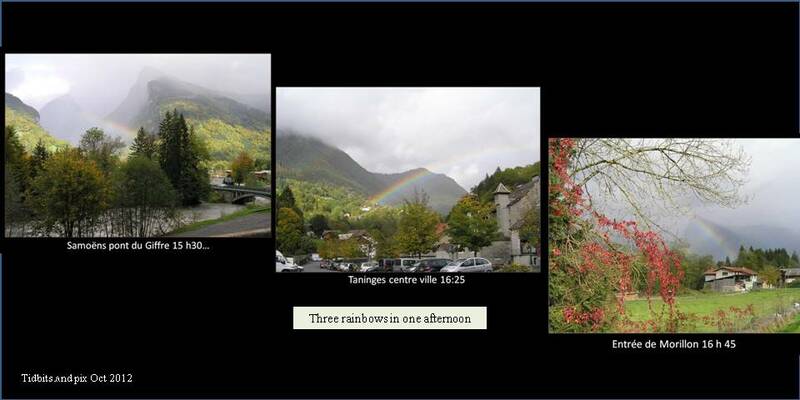 Three rainbows in One afternoon. This afternoon, I ran errands from one end of the valley to the next (which is about 30 miles) since driving keeps the Queen Mother happy… but the very special thing that happened is that 3 different rainbows appeared in 3 different places (or was it the same one playing hide and seek with me? ). We have had lots of rain but the sun broke through for a few hours and these gorgeous “arc-en-ciels” kept blessing the valley again and again. My mother loves to get in the car and go, as long as it is not too far, not too long, and usually the local market is where she wants to go, but on some days, I can convince her that I need to take photos of churches and mountains and clouds and it works. What can I say, today was a quiet day and I am thankful for it. If what my mother recommended was not enough nevertheless I could not brush it off because I could see truth in what she said and I realized it would have been stupid to reject kindness and goodness; even in my immature mind and not-fully-formed personality I could see that. At this point in our conversation, I would usually not know what to add and the discussion would stop. Here I am now, 45 years later, a parent myself, a Northern California resident, thinking (and writing) in another language than my native one and having experienced a deep return to the faith within the last dozen years. Because this return happened so late, I am driven to understand it well and to be able to articulate it clearly. So I read and I study, I take Bible Study classes, I join prayer groups and I even started my own French-American Catholic blog 7 years ago. To me, this return to the faith is an exhilarating journey, it is truly the Good News, and having lived so many years outside the reality of faith, I appreciate even more what this Good News means and how it transforms our lives. I now experience first-hand how a faith-filled worldview is the most coherent and abundant world-view of all. 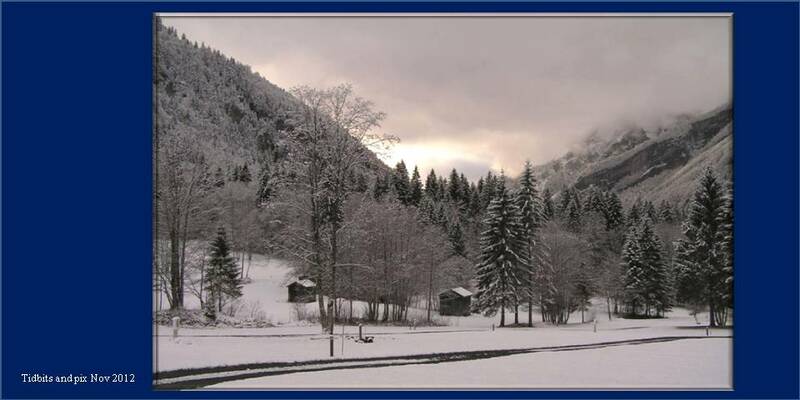 I just came back to the Alps to spend the winter with my parents, to help them and keep them company during the cold season. Being back in my childhood home, I was reflecting on my life and thinking about what the Gospels mean to me, to the human race, about this huge event which is still unfolding in every breath we take and how the two commandments of loving God and loving our neighbor are truly the heart of it all. And it occurred to me after all these years that my mother was right! Doing good, being kind is definitively what it is about. Lucky for me, a little bit of wisdom came along the way with each passing year and I can see now the profound paradox in this simple statement which I was so tempted to overlook years ago. It is both very simple and a huge challenge because it is an on-going process, it is not resting on one event, it is not enough to be kind on the first of January and then forget about it… Oh! No, just like dieting and exercising, it is made of a thousand efforts, it needs to be repeated again and again and there lies the challenge. It needs to be practiced to the point where it becomes our way of life. According to Ephesians §4, to become the "new man" we are supposed to speak the truth, stop sinning, work an honest job and share what we have, forget anger and meanness but encourage each other and practice forgiveness… Yes indeed, kindness trumps many things. There is a certain irony in finally appreciating what your parents have tried to teach you! In my own ways, I recognize that my love for nature photography is my own contribution to focus on the "goodness" of the world. Nowadays, watching my mother, quiet and weakened by old age and memory loss, I am filled with gratitude and I can only think of these words "merci, Maman!". 2. Do accept the repeating; accept and acquiesce for “Blessed are the merciful for they shall obtain mercy”. Angel, guide of Tobias, lay the request we now address to you at the feet of Him on whose unveiled Face you are privileged to gaze. Lonely and tired, crushed by the separations and sorrows of life, we feel the need of calling to you and of pleading for the protection of your wings, so that we may not be as strangers in the Province of Joy, all ignorant of the concerns of our country. Remember the weak, you who are strong--you whose home lies beyond the region of thunder, in a land that is always peaceful, always serene, and bright with the resplendent glory of God.